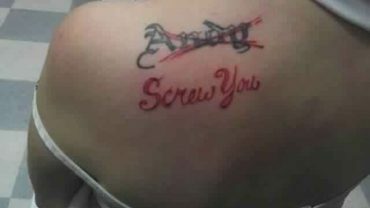 After you must have made up your mind on getting a tattoo, the next thing staring you in the eyes is the cost. Getting a tattoo is normally expensive; you may need a high budget to have a large-sized tattoo. There are specific designs and some studios where you can get it done on a relatively low budget, but there are still some things you will have to consider. You have to critically consider the cost of getting a too before you decide to have one on. Despite the expensive nature, it can still be affordable – you may have to do a little savings to have this. You can still have your tattoo on as an average earner, as a few months’ savings can be just fine for this project. You can always have enough money on you after you have the tattoo you’ve been saving for. The first thing you ought to do is find a studio you like and make enquiries on the specific design you want to have and the cost. In your search, ensure to consider the cleanliness of the studio and get to talk with the artists to see how sociable they really are. Having gotten the pricelist, go for high quality, regardless of the price tag. Although a particular studio may have high price tags, but the quality is most likely better than other studios with cheaper costs around. Always ensure to tip your artist after all is done. If you are so impressed with his artistic work on you, you would want to appreciate him for his time with a nice tip. Expert tattoo artists love tips. They are very pleased if their nice treatment is reciprocated.